It's still hovering in the low to mid-100's where I live! Preparing the garden for fall and winter crops is hard work with the high temperatures and humidity. I decided instead of working outside, I'd get a head start and plant some seeds in mini greenhouses under grow lights in the cool comfort of our air conditioned home! These are super easy to use. 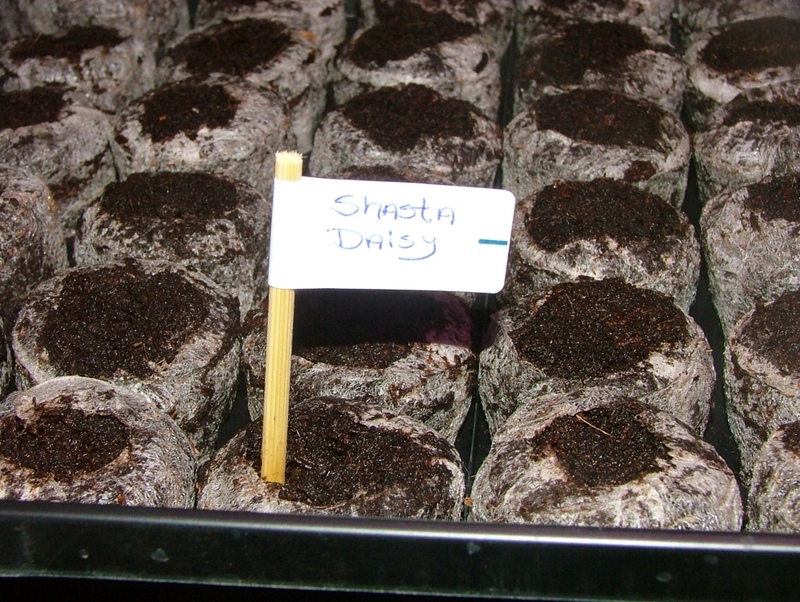 Each greenhouse comes with 72 peat pellets. I add 10 1/2 cups of warm water and voila I have the perfect little medium to plant my seeds! This is so much easier than messing around with a bag of seed starter soil. I make such a mess with the fine starter soil! Pretty pinks, yellows and whites! 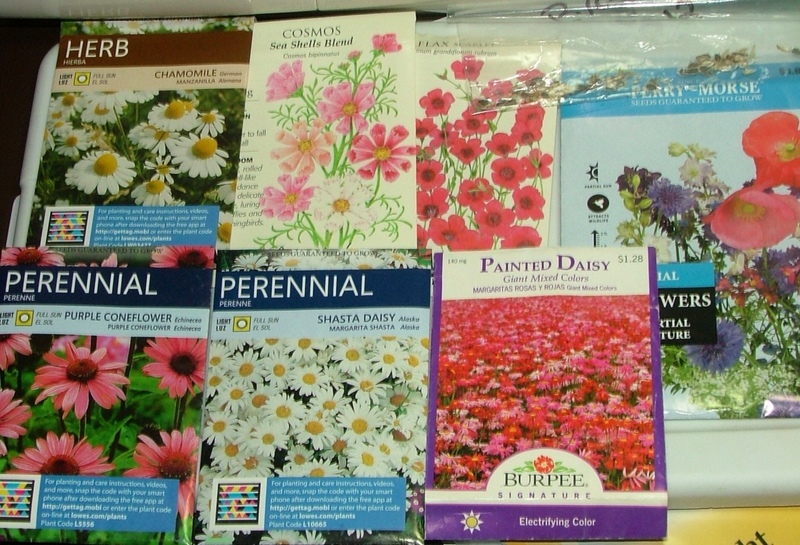 I don't know why, but I'm forever buying flower seed packets and then never sowing the seeds! Their pretty packets entice me to buy . . . I have decided this year is going to be different! No regrets! 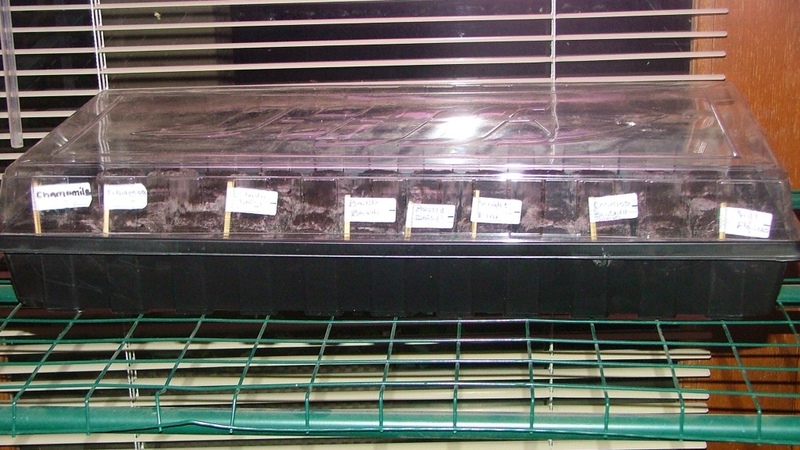 In one of my mini greenhouses I've sown all 72 pots with flower seeds! I planted perennial seeds ~ chamomile, echinacea (purple coneflower), Shasta daisy, painted daisy (giant mixed colors) in light pink to deep rose, flax scarlet, and cosmos (sea shell blend), an Arizona native called brittlebrush, it's covered with bright yellow flowers (got the seeds from my neighbor's plant, and finally perennial wildflowers (partial shade mixture)! Ol I can't wait for all the beautiful flowers to begin blooming! I'll be enjoying flowers inside and out! I'll bet our Little Pollinators (honey bees) will enjoy their sweet nectar and pollen too! Yes, there will be photos . . . Lots of photos! Hand printed markers so I know what's planted in each little peat pot. In the lineup for veggies I planted ~ sage, mammoth dill, Italian parsley, glacier tomatoes, Cubanna yellow peppers, California sweet orange peppers, Waltham broccoli, early snowball cauliflower, spinach, little gem romaine, red Swiss chard, Tom Thumb butterhead lettuce, Marvel of Four Seasons red butterhead lettuce, Victoria rhubarb, straight neck yellow squash, and black beauty zucchini. Here are the seed packets with photos. The rest I harvested form last year are in plain envelopes. A little covered greenhouse with grow lights. Fall is almost upon us! For those of us who live in the desert, better days are just around the corner . 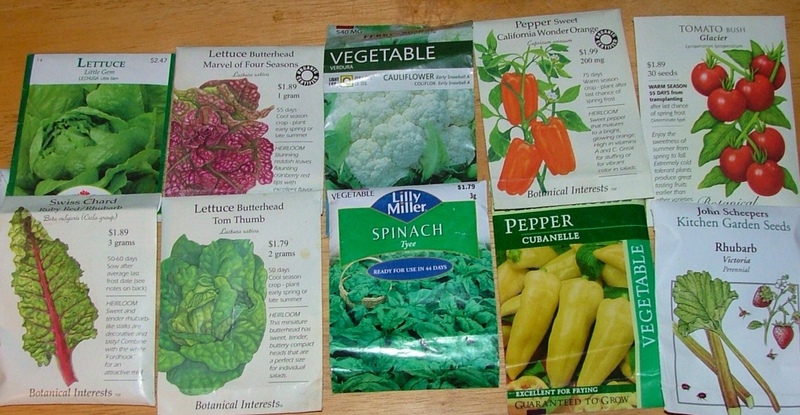 . . We won't see frost until the end of November, so there is still time to plant some warm weather crops, as well as, cool weather crops. My roses will perk up and the air will once again be filled with the scent of roses and allysum! Are you bringing in your final harvests before the first frost, or have you been waiting for the horrid heat and humidity to finally go so you can plant your fall garden too? I'm anticipating the blooming of my new little pineapple guava and filling some of my planters with bright pink geraniums, and crystal palace lobelia! We're getting ready for fall . . . Over at Julie's!!! Easy Greek Crock Pot Yogurt Cheese (Quark)!! !